This vintage woodworking shop dates back to the Japanese colonial period and offers daily-living products and traditional award plaques from that era. Items produced here include Japanese fence carvings, religious sculptures, pastry molds and signs, and services include customized wooden works and repairs. 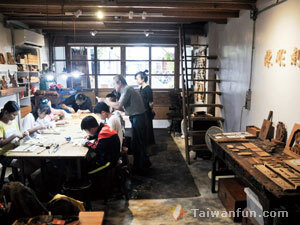 In an effort to pass along wood-carving skills, lessons are offered (NT$900) and promoted in communities and schools. Customers can also enjoy the slower-paced style here as they learn and socialize with passionate fellow students from various backgrounds and careers. The owner also promotes COMMA brand daily-living items targeted at youthful consumers, such as "Cat Jenga" (NT$380) and the "Mushroom Wooden Game" (NT$850), as well as a number of other interesting, but simple, artwork concepts. Children learn and explore their world through play and this shop offers memorable, creative and educational wooden toys for the whole family. Musical toys like the Pat Bells Station (5 bells on a pentatonic scale) generate pleasant melodies, while the Pat Bells Shelf (NT$3,680), appropriate for ages 0 to 99, was nominated for the Nuremberg Toy Award in 2016 and received top prize at the Japan Good Toy Awards. 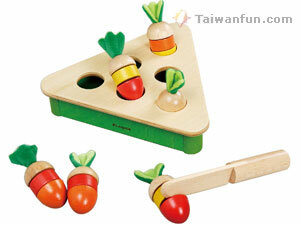 Other fascinating toys such as Pluck Carrot (NT$1,380) can be operated in different ways as children grow and develop. All products emphasize grasping, cutting, color matching and memory games, meet national safety standards, and earned the Taiwan Excellence Award in 2017. Besides the store, these toy products and hands-on experiences can also be had at all Eslite Bookstores and the Fayaque store. This woodworking shop provides designers and carpenters with a venue to communicate and exchange ideas. Supervisor Kay, who studied Industrial Design, also cooperates with Houli and Fengyuan district wood artists whose works blend traditional and cultural concepts. 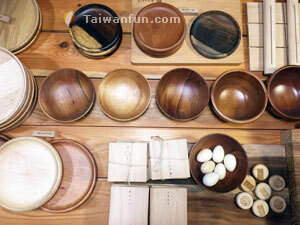 This includes simple wooden utensils recently popular with the growing picnicking and camping trend. The Chicken Wing Wooden Plate (NT$500) is an artwork designed with simple carving to express a warm and peaceful feeling. An office worker favorite--a wooden business name card holder (NT$640)--is created from beech wood and hickory and also comes with a customized chop. 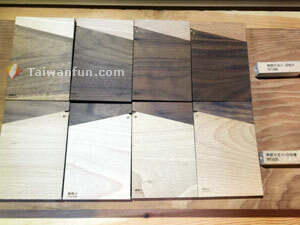 There's also a solid-wood surfboard (NT$4,800), a potential heirloom that promotes the spirit of wood. The Zhou siblings are second-generation owners of this shop and have combined their skill at carving old window frames with creative concepts to develop DIY wooden products. 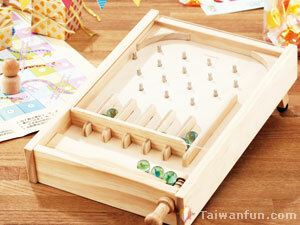 The classic, nostalgic DIY "pinball" toy (NT$1,188) and practical deer-shaped cup holder (NT$415) generally take between 30 minutes and three hours to complete, and other feel-good items include educational toys like Mission Impossible Jenga (NT$1,175) and the Tyrannosaurus Rex pencil sharpener (NT$450). 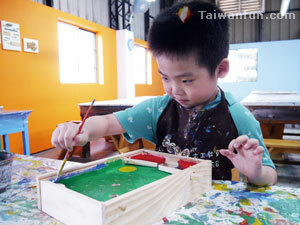 The detailed hand-crafting experience here helps grab the attention of many visiting children. 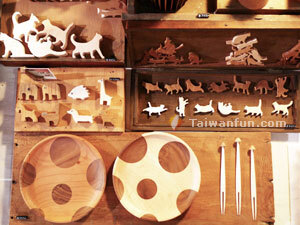 The Taiwan cypress spoon (NT$1,480), which can also be customized, is another very popular product for companies. This store is located near the end of National Freeway No. 4 and offers group reservations and online shopping.